Welcome to the last Telecast Thursday of August 2017! We've had 5 Telecast Thursday blogposts this month! I can't believe that summer is waning and fall is just around the corner. 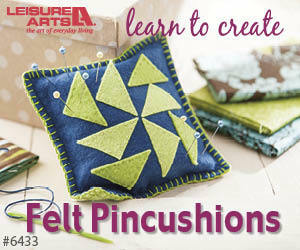 The cooler weather brings a return to quilting and a great time to brush up on your free motion skills. This week I'm taking a look at Shape by Shape Collection 2 from Angela Walters. Angela has amazing free motion skills and she shares them in her most recent book. What I like about this book is that she provides you with ideas on how to quilt different shapes: circles, triangles, squares, etc. It's always challenging to decide what to put in this geometric areas, but Angela gives you lots of choices. She also provides variations on the designs for each section. The book is well laid out with an index of the quilting designs in it right at the front of the book. It has lots of clear photographs and instructions on how to create each design. Learn more about Shape by Shape Collection 2 by watching the video below or on my YouTube channel. 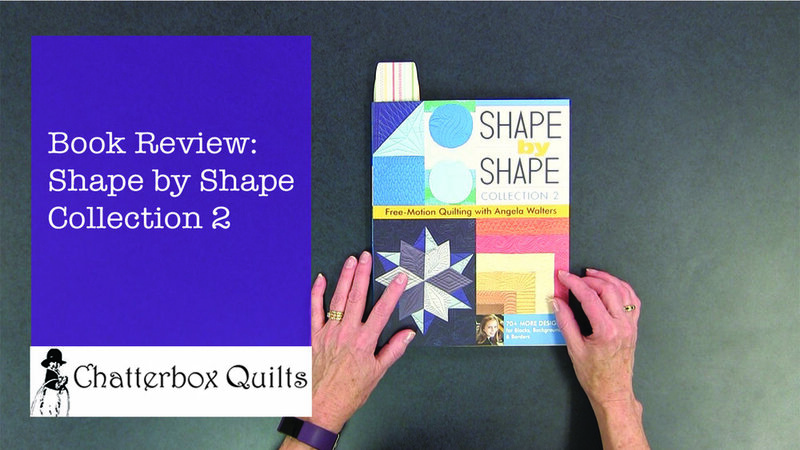 Shape by Shape Collection 2 by Angela Walters is a good reference book to have in the free motion quilting section of your library: lots of creative designs and clear instructions on how to stitch them. Do you have a "go to" book that you use for free motion quilting designs? Leave me a Comment below letting me know its title. P.S. I'd love to have you join me and other quilters in the private Chatterbox Quilts' Facebook group. Learn and discuss quilting topics with this engaging group. Disclaimer: There are affiliate links in this blogpost and I will receive a small monetary compensation if you purchase by clicking through these links. Thank you for allowing me to continue to create FREE information for you. Welcome to another Telecast Thursday! This week I'm getting loopy on my HQ Infinity. I'll show you how to take simple circles and create more intricate loop designs with them. These are easy for even beginner quilters to accomplish and you can do them on your long-arm or domestic sewing machine. You can watch the video below or on my Youtube channel to see how simple it is to create these designs. Subscribe to my Youtube channel to receive automatic notifications when new videos are posted. You can also click on the Chatterbox Quilts logo in the lower right corner on the video itself to subscribe. Please share my videos with your fellow creatives. Leave me a comment below to tell me how your loopy quilting is coming along. It's Telecast Thursday and I'm addressing another "Real Quilting" topic. I've been enjoying playing and learning on my Handi Quilter Infinity, but there is definitely a learning curve with this machine. As with most new sewing or quilting machines there are many different functions and it does take time to become completely familiar with all - or even some - of them. While it can seem overwhelming to use a new machine, it is essential that you spend the time to learn about it so you will use it. It's just this issue that I am addressing in the video below. You can watch the video on my Youtube channel. I hope I've inspired you to overcome your fears about learning to use a new machine or tool. Let me know how you handle this situation by leaving a comment below. UPDATE: Allison is no longer at the Threaducation Centre, but is continuing to teach and accept customer orders for quilting at Meadow Rose Quilting. You can follow Allison's blog to keep up with her latest activities. I was fortunate enough to have Allison Spence come out to my studio for a private lesson on my Handi Quilter Infinity. While I have been working on my machine for a few months, I really wanted some tips from a professional. Allison is one of the forces behind the Threaducation Centre here in Calgary, AB, Canada and I just knew that I would learn lots from her. I was right! First I learned that I had my quilt top leader feeding off from the pole incorrectly. Duh! I always have problems with whether this leader feeds over the top of the pole or underneath the pole. Allison straightened me out on this right away - and I made notes and took pictures so I will always get it right! Allison showed me 5 different free motion designs that can be applied to any quilt and I got to practise these until I had the feel of them. I also learned how to take these 5 designs and build on them to create more complex patterns. She had some other tips that you can see in the video below about quilting area and stance at the machine. I hope you found these tips helpful if you quilt on a long arm machine and just remember that you won't get better if you don't practice, practice, practice! Subscribe to my Youtube channel to receive automatic notifications when new videos are posted each week. You can also click on the Chatterbox Quilts logo in the lower right corner on the video itself to subscribe. Please share my videos with your fellow quilty and creative friends.